In Lomellina, the goose farming has very ancient traditions. In this area, the abundance of stagnations water, and the big uncultivated land constitute the ideal space for the goose farming. The processing and transformation phases of Salame d’Oca di Mortara PGI take place in the area of Lomellina and in the geographical area that includes the Province of Pavia. Salame d’Oca di Mortara PGI is made up of 30-35% lean goose part, 30-35% of lean pork part and 30-35% of the fat pork part, such as bacon and pork cheek. The goose skin is salted, trimmed and sewn with cotton twine and then is used as a casing to contain the paste. In the mixture of the meats is used salt, pepper, and other natural herbs. The product cooked and tied has to stay in ventilated rooms at a variable temperature from 1 to 3 days. After drying it is cooked. The slice is dark red, pink and white in the various types of meat. The scent is delicate and sweet, for the presence of spices. Very tasty with mustard and sweet and sour sauces. Excellent with rice balls and focaccia. The first information on the goose and its use date back to the end of 1400, due to Jewish communities coming from Northern Europe settled first in Friuli, then in Emilia Romagna, Lombardy and Piedmont. 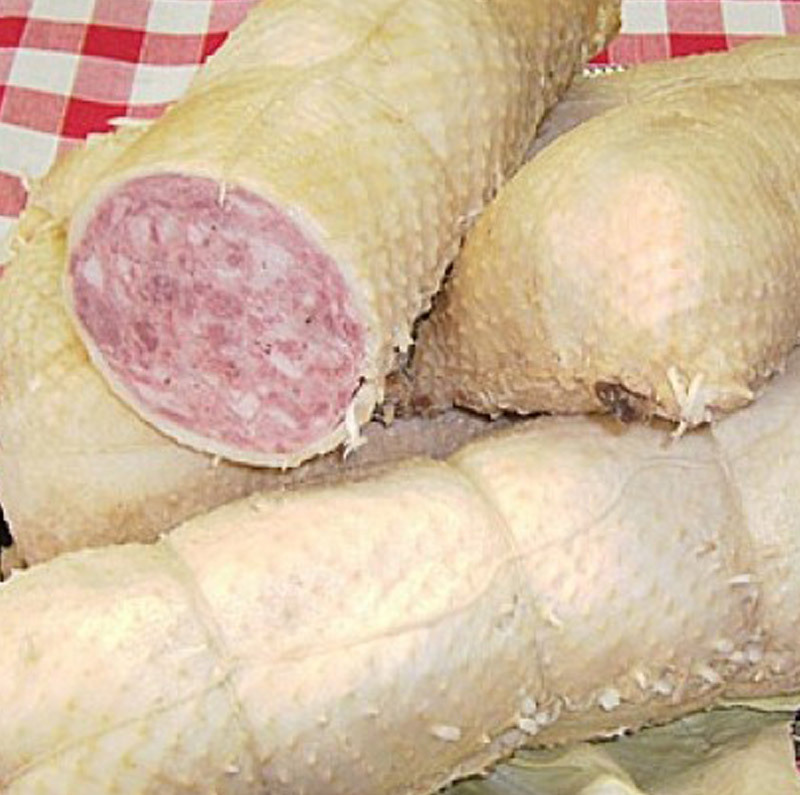 The goodness of the goose salami also reached the Christians, who enriched it and flavored it with other ingredients especially with pork meat. The evolution from pure goose meat to mixed one is also due to probable economic reasons as well as the expulsion of the Jews from the duchy of Milan, became Spanish after the victory of Charles V in Pavia in 1525 and their forced conversion. The evolution from pure goose meat to mixed one is also due to probable economic reasons as well as the expulsion of the Jews from the duchy of Milan, which became Spanish after the victory of Charles V in Pavia in 1525 and their forced conversion. 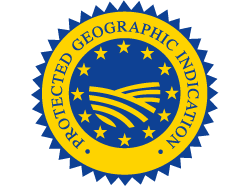 Protected Geographical Indication (PGI) recognized under Reg.ne EU Reg.to CE n. 1165 of 24.06.2004 GUCE L. 224 of 25.06.2004.